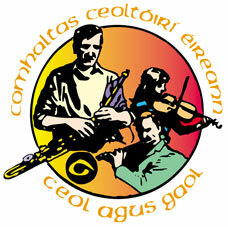 Start the new year with a spring in your step at the CLG Family Céilí. It takes place at Clayton Whites Hotel, Wexford 3-6pm, Sun, Jan 6. What to expect? An afternoon of dancing under the watchful eye of 'caller' John O'Byrne with music provided by the Bass Family Céilí Band. This is an event which which the whole family will enjoy. It's FREE ... and alot safer than ice-skating! No experience required as John will be on hand to guide you through the steps.